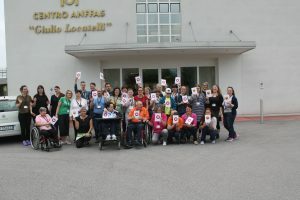 We have just finished our transnational workshop in Italy with 13 intellectually handicapped participants who came from Italy, Finland, Slovenia, Lithuania, and Iceland. The project is part of the european project called DigiPower. What a great experience!! 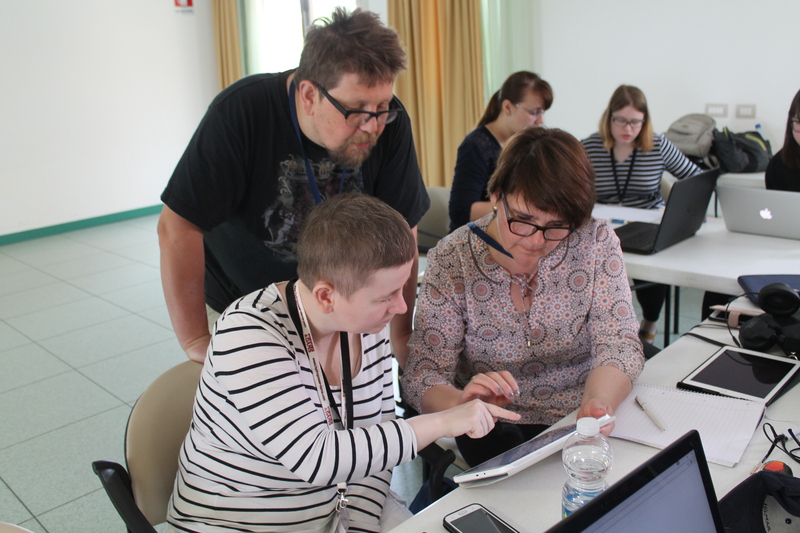 We loved to work with all the participants. Every day in the morning we got a big smile and hug from everyone. It was our first time to arrange a 5 days Digital Storytelling workshop with this target group and we learned a lot. 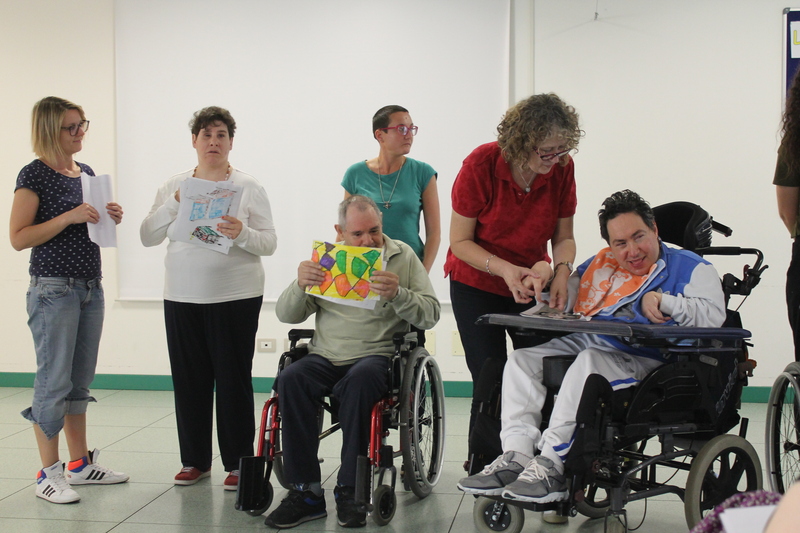 The workshop was held in Pordenone at Anffas which is an organisation who works with disabled people rights and Anffas is also a residential and semi-residential facility for severely disabled people. During the 5 days the partcipants produced a 1-2 minutes digital story with the help from the facilitators and the assistants. 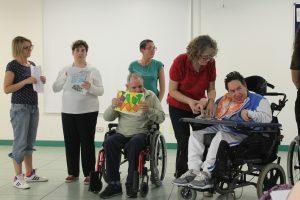 In the morning they shared stories through different creative storytelling excercises and in the afternoon they had a course called danceability.